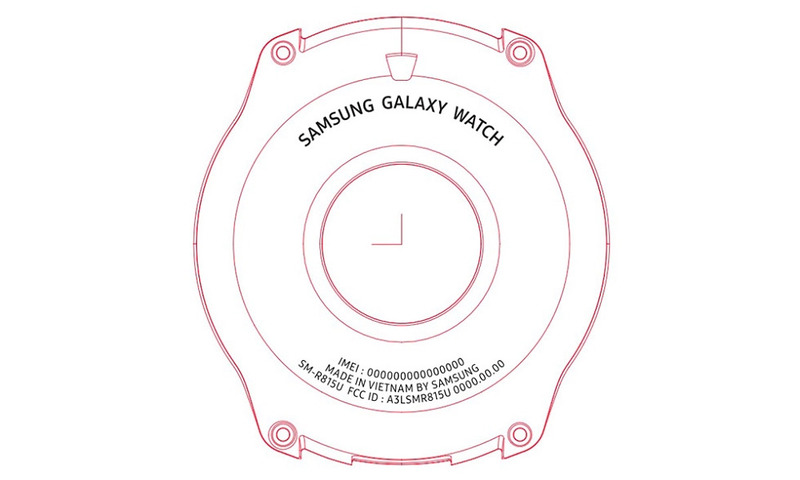 Samsung's upcoming smartwatch will be called the Galaxy Watch instead of the Gear S4 according to its FCC certification. The Galaxy Watch is slated to launch alongside the Galaxy Note 9 on August 9 and comes in two variants along with an additional LTE option. Samsung's upcoming smartwatch is expected to be unveiled during the Galaxy Note 9 launch. As reported earlier, Samsung is foregoing the Gear nomenclature and will be calling the product Galaxy Watch instead of Gear S4. The Galaxy Watch moniker is also confirmed to be true going by the FCC listing, which lists two models — SM-R800 and SM-R810 apart from an LTE variant, the SM-R815. 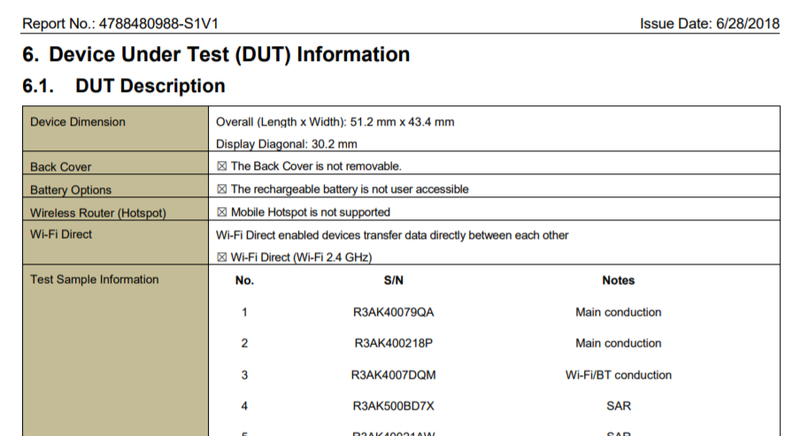 According to the FCC listing, the SM-R815's display measures just 30.2 mm or 1.19-inches diagonally making it smaller than the Gear S3, which had a 1.3-inch display. While a size difference between the models is plausible, it might not be really discernible in regular usage. The Galaxy Watch was originally thought to run on Wear OS but we now get to know that it will run on Tizen 4.0 as was originally speculated and will feature the Bixby voice assistant. While we know that Tizen 4.0 lays a special emphasis on IoT, it will be interesting to see what Watch-specific features are on offer. Other information about the hardware of the Galaxy Watch is still scarce but we know that Samsung is looking to incorporate as many sensors as possible to cater to the health and fitness crowd. The Galaxy Watch would sync with the S Health app that would also provide more in-depth sleep tracking. If all goes well, the Galaxy Watch could be unveiled alongside the Galaxy Note 9 on August 9 and go on sale together on August 24 with pre-orders starting August 14.